Electrolux W555H 6kg Commercial Washing Machine is a high spin, free standing machine with a drum capacity of 53 litres and a maximum dry load weight capacity of 6kg. Available in manual OPL, Electrolux Coin Operated or fitted with the Nayax cashless payment system. As with all Electrolux laundry equipment ease of installation, maintenance and operation have been carefully considered, designed and engineered. The industrial build quality of the machine will ensure years of reliable trouble-free operation in the most demanding laundry environments. This Electrolux laundry machine features in the Electrolux Lagoon Wet Cleaning Advanced Care System range due to the flexibility of the Compass Pro control giving the user professional features, infinite control and dedicated wash programs when used with the Laundry Program Manager software. Electrolux W555H 6kg Industrial Washing Machine is extremely energy efficient with one of the lowest running costs in its class. Loading and unloading bulky items is easy thanks to a large 255mm loading door. An oversized four compartment soap box makes accurate dosing of soap powders and liquid laundry detergents easy while keeping wastage to a minimum. The Electrolux W555H is automatic soap dosing ready so can be dosed with liquid laundry detergent and chemicals without the need for user intervention when used in conjunction with the Electrolux Efficient Dosing system. Choosing a wash cycle is simple, a large illuminated LCD display and large Compass control dial makes navigating through the menus and wash cycles easy. The unique Electrolux Automatic Weighing System (AWS) ensures that only the lowest amount of water and electricity are used for the wash cycle selected. A standard 60-degree Celsius wash cycle uses less than 8 litres of water per kg and less than 1.00kwh of energy. The extremely high spin speed of 1450 RPM is designed to keep residual moisture content below 50%. The high extraction speed generates a G-Factor of 530 this ensures drying times to be as short and economic as possible. The culmination of all these energy saving features has qualified the Electrolux W555H 6kg Industrial Washing Machine to be listed on the Water Technology List and is WTL Certified. The Electrolux W555H 6kg Washer Extractor is an indispensable tool when hygiene is a priority. The machine is pre-programmed with Sluice & Thermal Disinfection wash cycles which meet the requirements of the CFPP 01-04 and fully comply with CQC Care Quality Commission in England and the Scottish Care Inspectorate. With hygiene a priority and with low energy usage in mind further savings can be made by the addition of Ozone disinfection such as Otex or the iZone o3 ozone laundry system which can easily be connected to the Electrolux Washer Extractor. An iZone o3 ozone laundry system will eradicate up to 99.99% of harmful micro-organisms like MRSA and C.Diff whilst washing in very cool water eliminating the need for very high wash temperatures. The Electrolux W555H 6kg Washer Extractor is WRAS approved (1509069) and fitted with a Fluid Category 5 A-Type air gap so can be connected directly to mains water supply; providing a WRAS approved single check (non-return) valve is fitted before the machine. 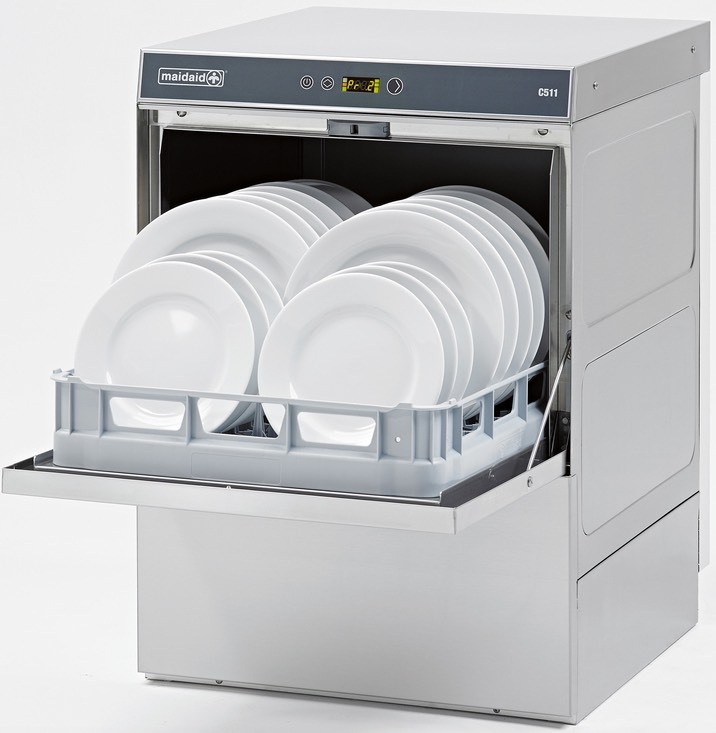 The Electrolux W555H 6kg Commercial Washer is ideal for all establishments that require a robust, reliable, industrial, energy efficient washing machine. An ideal Commercial Washing Machine suitable for establishments such as abattoirs, bed and breakfasts, beauty salons, boarding kennels, camp sites, caravan sites, care homes, catteries, contract cleaners, colleges, dairy farms, day nurseries, dry cleaners, equine, equestrian centres, food processing plants, football clubs, golf clubs, gyms, hair dressers, horse rug cleaning, hospitals, hostels, hotels, key worker accommodation, laundries, leisure centres, nursing homes, prisons, rugby clubs, schools, sheltered housing schemes, spas, sports clubs, stables, swimming pools, universities, vets & veterinary hospitals. The Electrolux W555H is a direct replacement for previous models W455H, W355H, WE61MP & WE55MP. A cost effective alternative to the Miele PW5062, Miele PW5064 Mopstar, Miele PW6055, Miele PW6065 & Primus SC65. Not sure if the Electrolux W555H 6kg is the right machine for you no problem Electrolux Professional offer a full comprehensive range of WRAS approved, CQC compliant, professional, commercial and industrial washing machines. For small domestic sized washing loads explore the easy to use undercounter entry level Electrolux Quickwash 5.5kg or the Electrolux myPRO WE170 8kg commercial washing machine. Lease the Electrolux W555H 6kg industrial washing machine and spread the payments over 3, 5 or 6 years. You can include the cost of installation and the extended warranties within the monthly payment. There are also major tax benefits to leasing. Rent the Electrolux W555H 6kg commercial washing machine. For Complete Laundry Care and peace of mind choose 3, 5, 6 or 8 year PREMIER CARE RENTAL. For customers that want a hassle free laundry operation with the latest Electrolux laundry equipment for a permanently fixed monthly fee then choose PREMIER CARE RENTAL. No capital outlay required, new Electrolux laundry equipment supplied, delivered, installed to existing services and safe disposal of old equipment is included. In the unlikely event of equipment breakdown with PREMIER CARE you are covered and benefit from emergency laundry engineer response 7 days a week 365 days a year. All call outs, labour and parts including wear and tear items, annual maintenance and compliance certificates are all covered in the one low cost monthly fee which is affordable and also tax efficient. For Total Care choose PREMIER CARE RENTAL unbeatable value for money laundry equipment rental for all establishments. Laundry365 are an independent specialist of Electrolux laundry equipment. Nationwide supply and installation of machines as well as cost effective Electrolux W555H, W455H, W355H washing machine repair services and spare parts supply. We also offer a range of comprehensive service contracts for your Electrolux industrial washing machine which can be tailored to meet your specific requirements and budget. Laundry365 head office is based in Norwich in the county of Norfolk. From here our GAS SAFE industrial & commercial laundry equipment engineers cover Bedfordshire, Buckinghamshire, Cambridgeshire, Essex, Hertfordshire, Leicestershire, Lincolnshire, London, Milton Keynes, Northamptonshire, Nottinghamshire, Peterborough, Rutland and Suffolk.